David Hecht is one of the most interesting people I know. He has been in recovery from addiction for over 33 years. 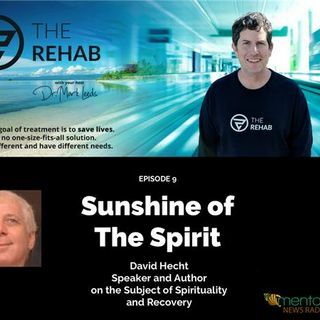 During that time, David has spoken at many conventions on the topic of spirituality and recovery. He has also spoken at local meetings, large and small in the South Florida area and other meetings around the country. He has also sponsored many people over the years and helped them to change their lives. David is also highly intelligent. In fact, he has tested in the top 0.1% of ... See More the population. In addition to being active in recovery, he is also active in Mensa. On multiple occasions, he has been a stand-by to be a contestant on Jeopardy and could easily win on most nights of the show. So, for people who think they are too smart to recover from addiction, David is proof that this is not true. While intelligence and creativity can work against a person struggling with addiction, spirituality can be the key to recovering. I highly recommend exploring David Hecht's writing. An excellent collection of essays is available at DrLeeds.com.